Dr. Olga Goulko is a dermatologist who leverages extensive expertise and training to help her patients maintain both the beauty and the health of their skin. A Russian native and graduate of the Moscow Medical Academy, Dr. Goulko has also trained in Italy, France, at the Albert Einstein College of Medicine, and at the Washington Institute of Dermatological Laser Surgery. 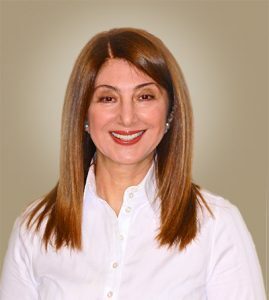 She has experience with a wide variety of medical conditions and cosmetic procedures, with particular expertise in cutting-edge laser treatments and cryosurgery. A careful and compassionate physician, she will help you keep your skin healthy, smooth, and beautiful. Dr. Goulko is a member of the American Academy of Dermatology, the American Society of Laser Medicine and Surgery, the International Society of Cryosurgery, and the International Academy of Cosmetic Dermatology.